NEWS BULLETIN (Jan. 1, 2016): No conversations anywhere in veterinary circles about telemedicine. All right, maybe one or two among digital devotees, but that’s all. NEWS BULLETIN (Aug. 1, 2017): You can’t find a state, regional or national veterinary conference without telemedicine on the agenda. Listing each meeting would take this entire column. What happened in 19 months? Part of the kick-start occurred in February 2016 at the North American Veterinary Community — publisher of Today’s Veterinary Business — with the formation of the Veterinary Innovation Council (VIC) and its telemedicine pilots. Organizations everywhere apparently drank the same water and woke up one day with a discovery: If telemedicine is good enough and safe for people, which human health care has been working on since 1993, then couldn’t it be a part of pet health care? What Do Pet Owners Want? VIC’s practice pilots and regulatory reform initiatives. 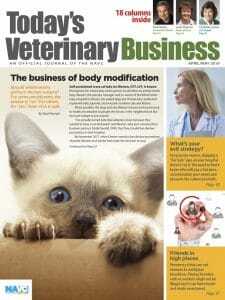 The American Veterinary Medical Association’s advisory panel and now-adopted report. 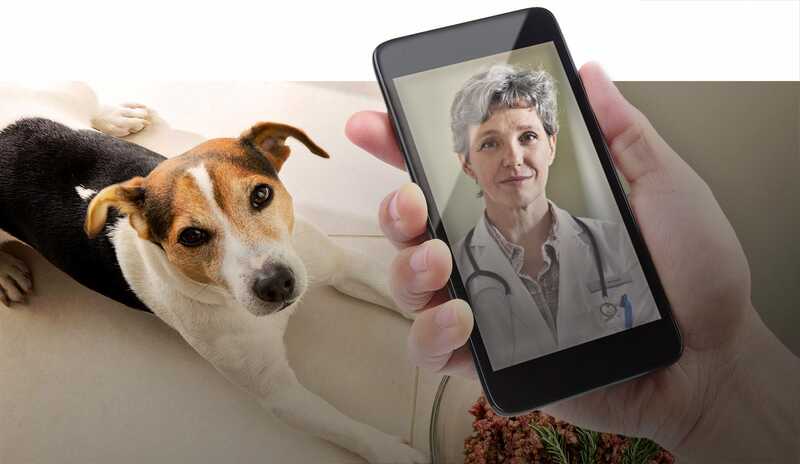 The American Association of Veterinary State Boards’ wide-ranging exploration of human health precedents and consideration of what changes, if any, are needed to implement telemedicine in veterinary practices. While much of the conversation has centered on how to work with new pet owners — mainly digital-savvy millennials — under the rules of a traditional veterinary-client-patient relationship (more on that below), attention focused increasingly on what consumers are doing with digital tools in other parts of their lives. Put bluntly, does veterinary medicine need to catch up to avoid being another technology casualty in American culture? At the heart of this question is a provocative idea: Maybe pet owners, and not veterinarians, will drive the next era of pet health care. Since survey after survey demonstrates that pet owners, especially millennials, value veterinarians highly, is it possible that veterinarians could listen and partner with pet owners to change some ways they do business? And if that happened, is it possible that 40 to 50 percent of pet owners who do not access regular veterinary care might build new relationships with veterinarians for their own peace of mind and the health of their pets? There it is. Any reader with millennials in their workplace or family cannot be surprised. So, we don’t need to speculate about whether these tools somehow apply to pet health care. Evidently, they are essential. From human medicine, we have 2014 and 2017 studies demonstrating the breathtaking pace at which human doctors are adopting digital or telemedicine tools. A 2014 study from the Academy of Integrative Health and Medicine observed that 33 percent of practitioners provided or participated in telemedicine services. Just three years later, the 2017 KPMG Digital Health Pulse 2017/HIMSS Analytics study revealed that almost 75 percent of medical practitioners have digital or telemedicine care services in place. That’s over 100 percent growth in 36 months! We shouldn’t fret that it will take decades for veterinary medicine to understand this point. Surely, it’s not easier in the complex human health care world to adopt telemedicine tools than it is in pet health care. Now we come to the matter of the veterinary-client-patient relationship (VCPR). Many practitioners and AVMA insist on maintaining traditional requirements that a VCPR cannot start until the veterinarian physically examines the pet. Which means that if a pet owner does not bring the pet to the clinic, veterinary care for their pet remains on hold. The American Association of Veterinary State Boards is examining all options, and it’s important to note that AVMA remains open to changing the VCPR down the road. The Veterinary Innovation Council adopted a statement of principles that provides for the exercise of judgment by the veterinarian to determine whether she has enough information from digital tools to launch a veterinarian-client relationship. Think of the VCPR in this framework as a door rather than a wall. Practitioners fall on both sides of the debate. We do know that 47 states evolved over 20-plus years to allow human doctor-patient relationships to be formed through telemedicine tools. And we have four jurisdictions with this flexibility in veterinary medicine: Connecticut, Alaska, Virginia and the District of Columbia. These four jurisdictions provide an ideal testing ground for the proposition that the traditional VCPR is necessary to protect the public or pets. Since there is no evidence of any greater incidence of malpractice claims, pet injuries or deaths in these venues, one could question whether the traditional VCPR must be preserved in its long-standing form or be allowed to evolve. This debate will continue while the pace of interest in and exploration of digital tools for veterinary practices quickens by the week. The vibrant conversations throughout industry over the past 19 months surely are proof that veterinary medicine is not afraid of its future. And why should it be? If you don’t believe me, take a stab at this over your next lunch hour. The National Association of Veterinary Technicians in America and vet techs throughout the country have wrestled with this issue for many years and taken surveys. Finally, an initiative has been launched to standardize credentials for registered, certified or licensed veterinary technicians, and action will be launched in early 2018 in at least three states, with more to follow. The idea is simple: Since the common requirements for a credentialed vet tech — a degree from an AVMA-accredited school and passage of the Veterinary Technician National Examination — resemble the requirements for human nurses, why wouldn’t we use “veterinary nurses” to describe these key professionals in pet health care practices? The Veterinary Nurse Initiative specifically offers the title registered veterinary nurse (RVN). Discussions have been launched with national and state nursing organizations, AVMA, state VMAs, state vet tech associations, veterinary colleges and vet programs. The initiative is founded on the belief that pet owners will welcome having their pet’s care be provided by a registered veterinary nurse working as part of a veterinary team. The term “nurse” inspires confidence with the public. In fact, most of us receive a great deal of our personal health care from nurses. Is there any reason why pet owners won’t welcome this change and be pleasantly surprised to learn that veterinary nurses receive similar training as human nurses? Stay tuned, and let me know what you think.